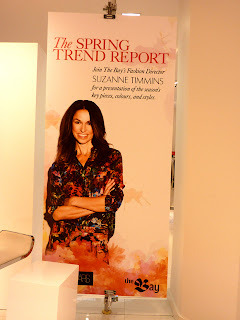 Loved the breath of fresh air and hints of Spring and Summer, soon to hit Vancouver, in this collection organized by Suzanne Timmins of Toronto! 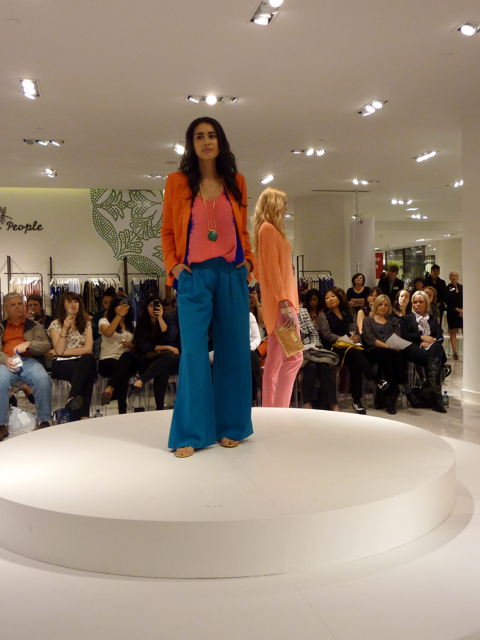 Corals, pinks, turquoises, yellows, lavenders were bursts of flowers and rainbows from The Embrace Color looks. This was a reminder to me to buy metallic bright sandals and pair them with jeans of every shade. And mix and match everything, no twin sets, please. Buy pieces that are flirty and emphasize the shape rather than overwhelm it. 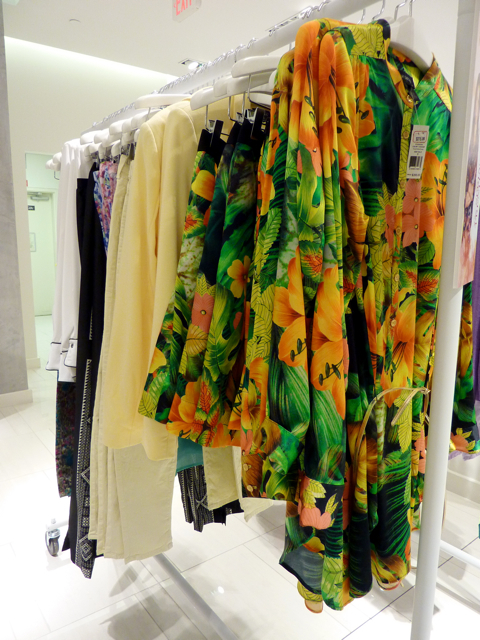 Florals and patterns made their way into blouses, pants, shoes, purses and sweaters. 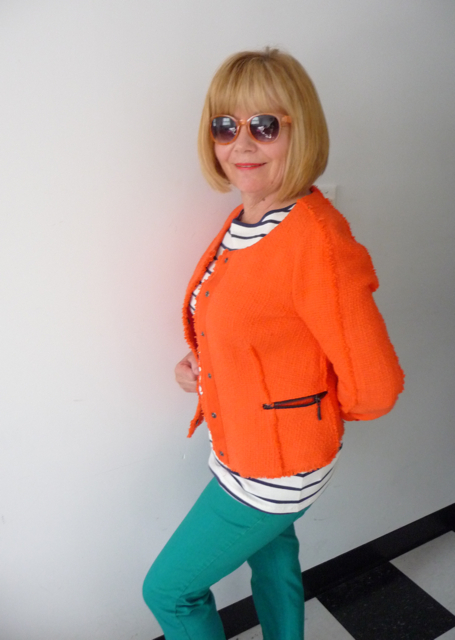 And, yes, these too, are mixed and matched, although with a careful eye to match or contrast carefully. 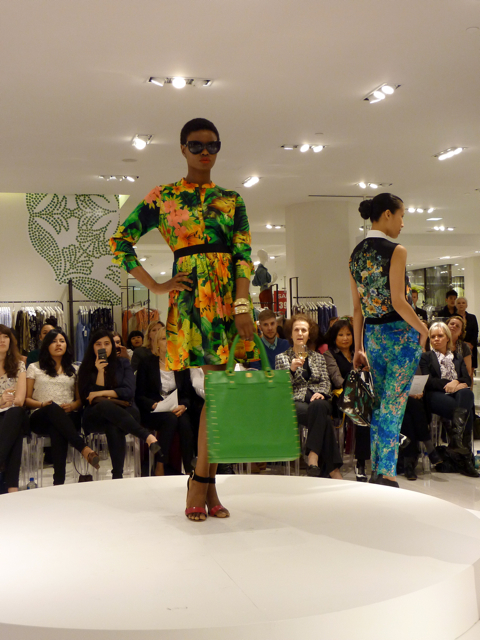 The Print Works collection demonstrated this beautifully. 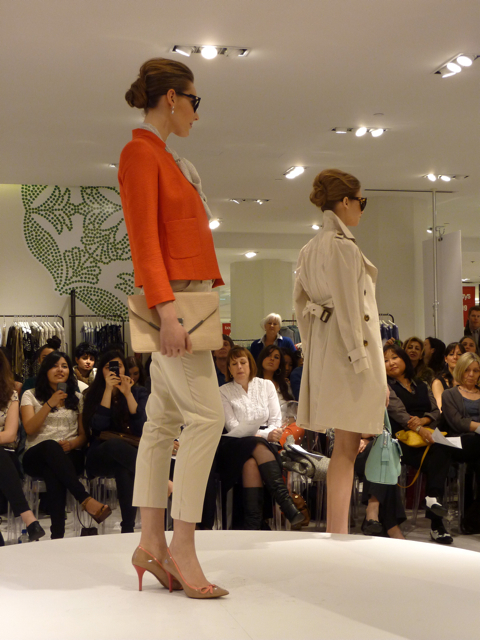 The New Lady featured the classic trench, but again fitted and flattering rather than bulky or long. Betsey Johnson floral crystal necklace graced this show and she would have been in the right place to be part of such a lively show. 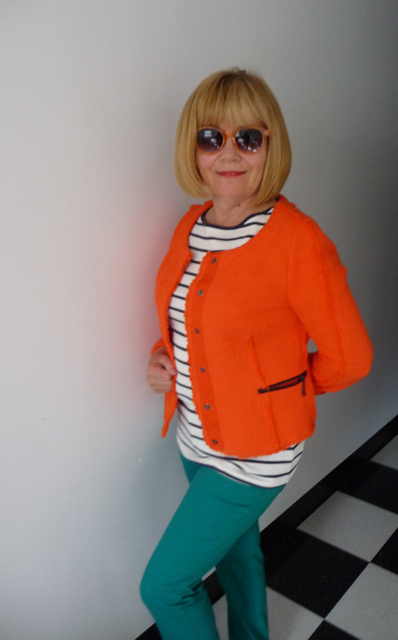 A cropped coral jacket, by Sandro, encouraged me to put the longer jackets of winter away and brighten up with color as well as a shorter and more fitted look. The Sport Luxe and Summer Nomad collections were strong messages to make informal looks just as vibrant and gorgeous as possible. Thanks to Suzanne, who despite the tallest heels ever, would look terrific in all of these fashions and accessories. Thanks also to The Bay for inviting customers to an evening that welcomes and inspires us to look on Trend. The Room is always a spacious and well designed showcase and the staff are friendly and very knowledgeable. We also enjoyed the plentiful and delicious refreshments. So fun seeing your takes on the trends! 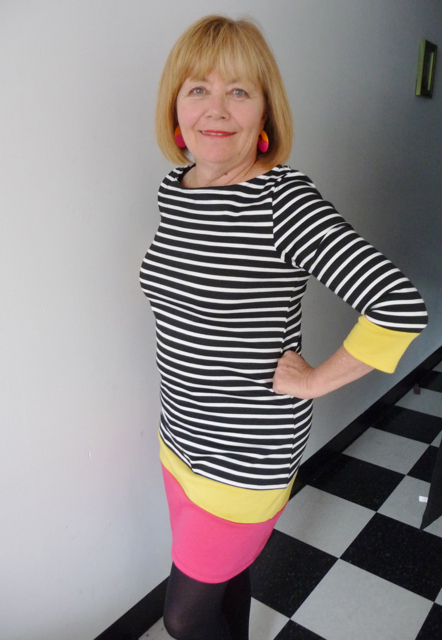 :) My favourite definitely has to be your take on stripes and colour. Well done!